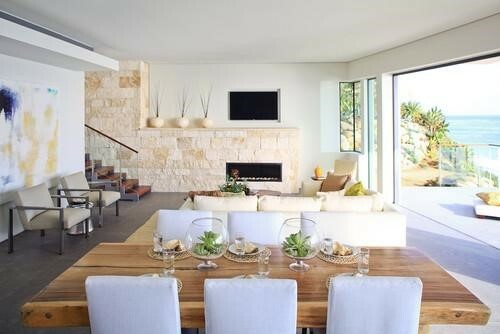 Bring a little of the outdoors inside your home with air plants. 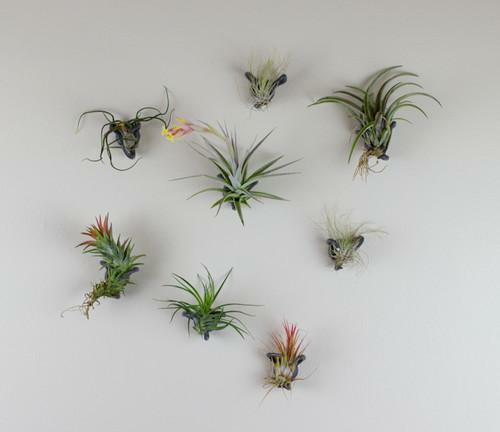 Air plants, also known as tillandsias, absorb nutrients through their leaves, so there is no soil involved. Their striking sculptural forms and easy care make these plants a great addition to any home. In nature, the majority of air plants survive by using their roots to attach to other objects (mostly plants, rocks, or buildings). This means they can be put in a variety of containers, making them ideal for any style of decor. They can be grown both indoors or out and do an excellent job cleaning the air. 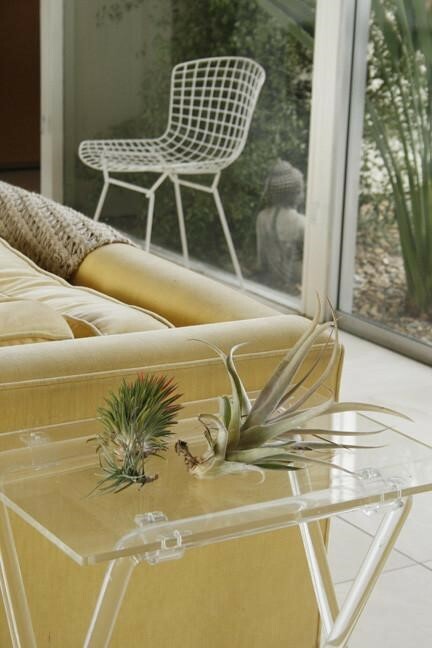 Air plants need bright, but indirect light and good air circulation to thrive. Mist these plants with water every few days or soak every 7-10 days. With over 500 species to choose from, and shapes ranging from the organic to the geometric, choosing your favorites is bound to be hard. 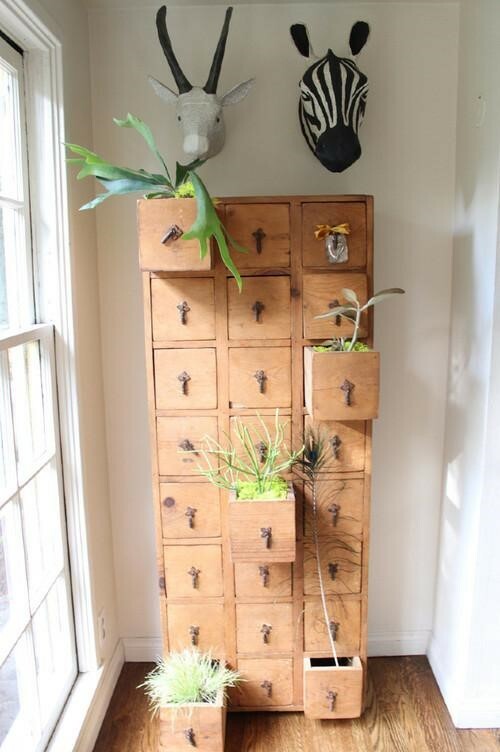 Here are some ideas for incorporating air plants into your home. Create a living wall. 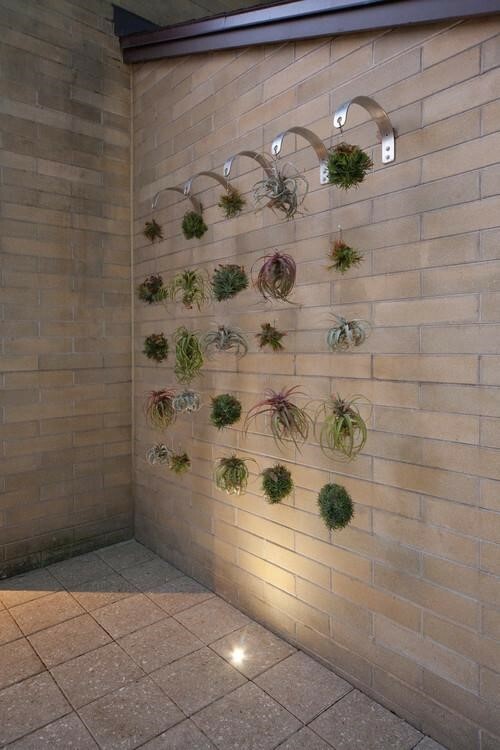 Hang air plants directly on the wall or get creative with a hanging structure to create a fantastic and gorgeous focal point in any room. For more great information please visit Modernize.com. 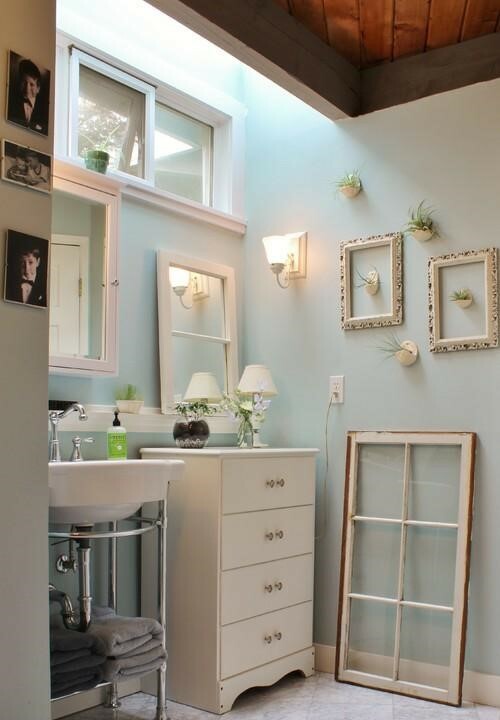 This entry was posted in Home, Car, Yard, and Pets, ~Decorating, ~Gardening and tagged air, blanchard, decorate, Garden, guest, inside, jane, landscape, leaves, living, outside, plants, post, room, roots, tillandsias, wall, water, with, writer, ~Decorating. Bookmark the permalink.